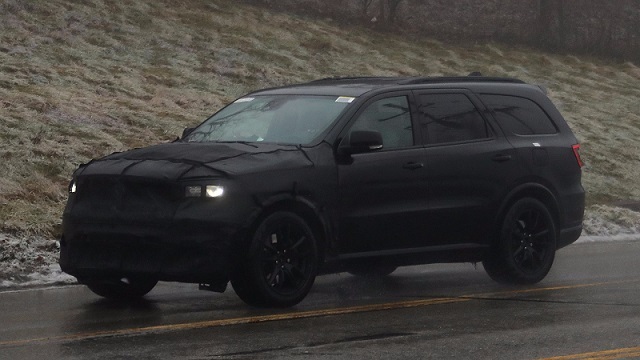 The newest spy shots of the high-performance Dodge Durango won’t reveal anything new at all. But we managed to figure out whether the car manufacturer plans to add an amazing 6.2-liter Hellcat engine or a bit less impressive 6.4-liter HEMI. It’s very simple. 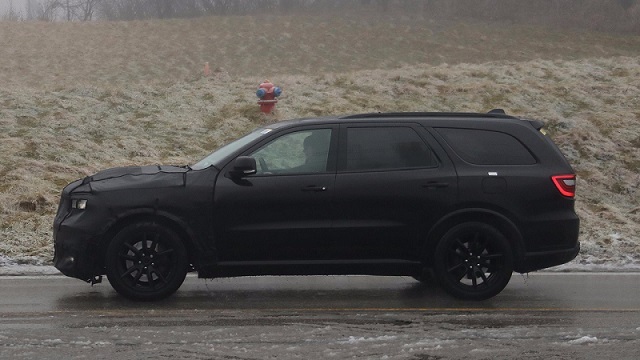 We spied the 2018 Dodge Durango SRT without any doubt because the prototype was circling near SRT’s headquarters in Auburn Hills, Michigan. The SRT-badged Durango isn’t bad idea at all, but we are a bit disappointed because Dodge’s mid-size crossover stays behind its sibling all the time. As you probably know, today’s Durango and Jeep Grand Cherokee are almost twins. They share a platform and plenty of other stuff, but Jeep’s SUV will have a big advantage because it’s getting the Hellcat mill. We don’t say that Dodge’s high-riding three-row vehicle won’t get the same treatment, but it’s pretty clear that this won’t happen in 2017. 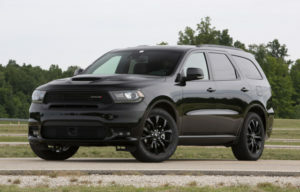 Instead, the car manufacturer will bring the 2018 Durango SRT at the upcoming New York auto show. The topping model will use a 6.4L HEMI V8 engine, which will be capable of producing 485 horsepower and 475 pound-feet of torque. The unit will be mated to an eight-speed automatic transmission and all-wheel drive. The automaker will additionally boost the performance with bigger wheels and Brembo brakes, and likely retuned suspension system that will have extra bracing. SRT’s Bilstein shock absorbers could also feature upgraded tuning. The exterior is still totally wrapped, so we can’t say what’s cooking beneath. Our sharp eyes saw a huge bulge with small scoops on the hood and a bit larger fog lamps. 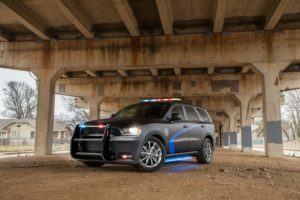 Everything else is camouflaged, but the latest rumors suggest that the 2018 Dodge Durango SRT might have a redesigned grille and bigger bumpers. Of course, the carmaker won’t skip the chance to add new headlights and taillights. Like we said, Dodge’s new flagship SUV will make the official debut at the 2017 New York auto show. The starting price won’t cross $65K. At least we think so.